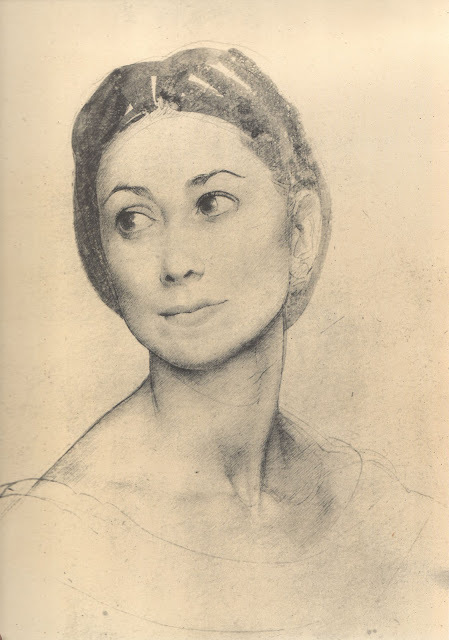 You'd be forgiven for thinking that this was a portrait of Betty Draper from Mad Men. 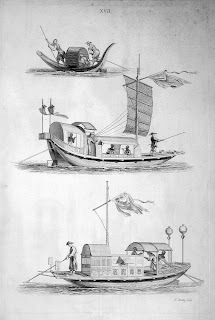 It's from the same time period alright, but there's something about the line-work that is truly timeless. 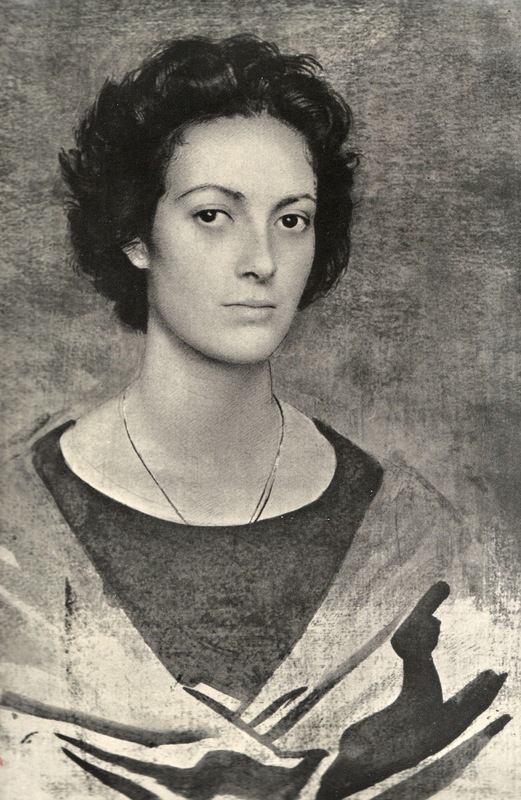 Pietro Annigoni's portrait of Mrs. Vernon clearly demonstrates his virtuoso draughtsmanship and is a testament to his deserved popularity. There are three distinct techniques here that blend seamlessly: The clothing is treated so roughly it looks more like a bark rubbing than a drawing, and is combined with loose calligraphic lines that define the folds in the broadest of strokes. 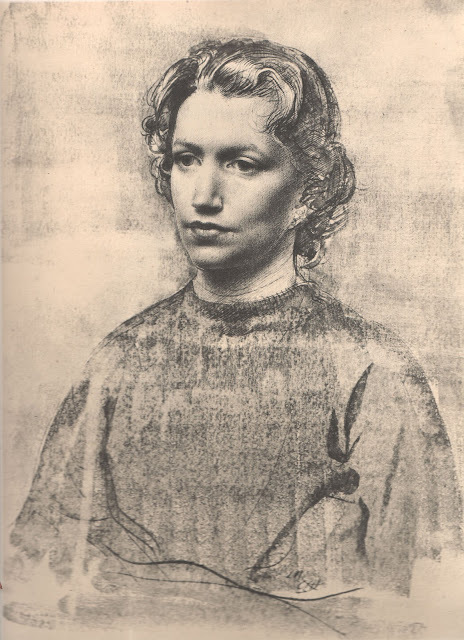 The hair is tighter, yet still loosely hatched and defined with lines that resemble a woodcut. 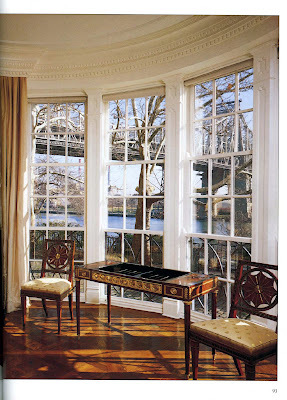 His third and most refined technique is reserved for the main area of focus, and demands our attention with the most subtle shifts in value. You can see the same techniques applied to his paintings too. 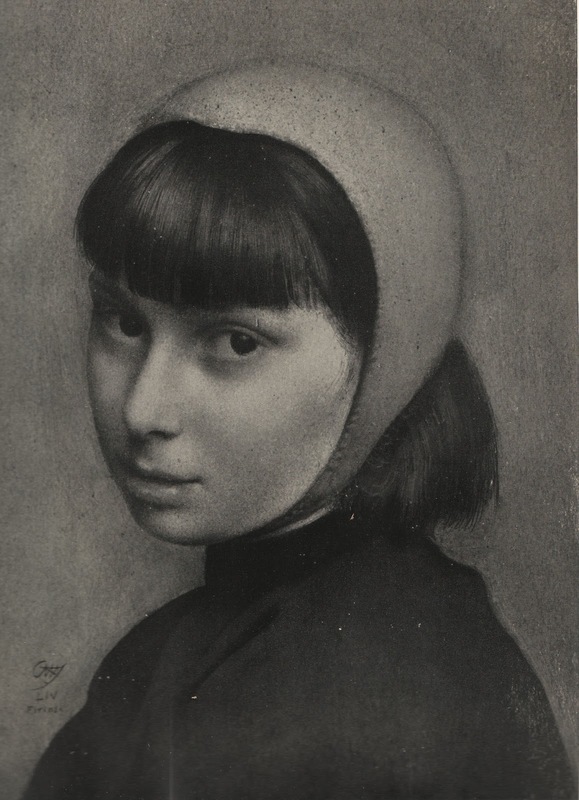 Ever since I came across a dusty old book of Pietro Annigoni's paintings and drawings I've been hooked. He had some killer soundbites too, so without further ado here are some of my favorite portraits along with quotes from the maestro himself. in the realm of art." 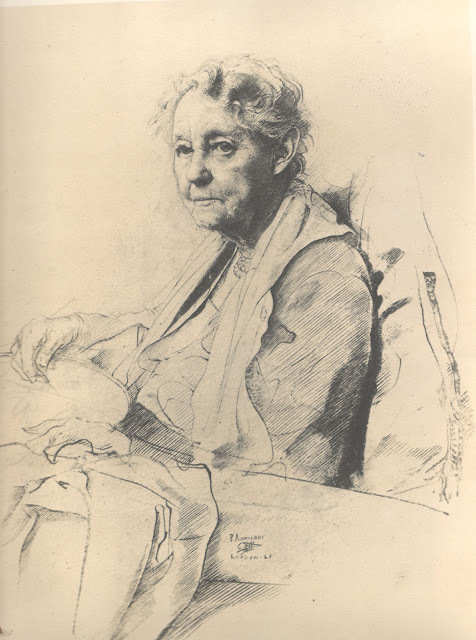 "Truly, contemporary society is at once the slave and victim of the boundless liberty it has drawn upon itself. without a landing place and without a course." "Impulse alone does not make a work of art." 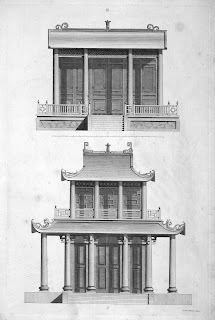 "to deform is to make something ugly in form." 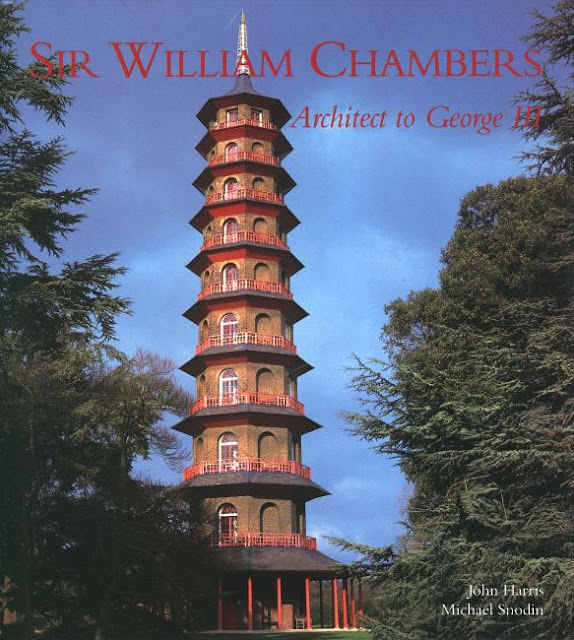 With a whopping resumé of English and Irish stately buildings to his credit, William "Knuckles" Chambers (1723-1796) was definitely up there with the heavyweights of Neo-Classical Architecture in the Eighteenth Century. 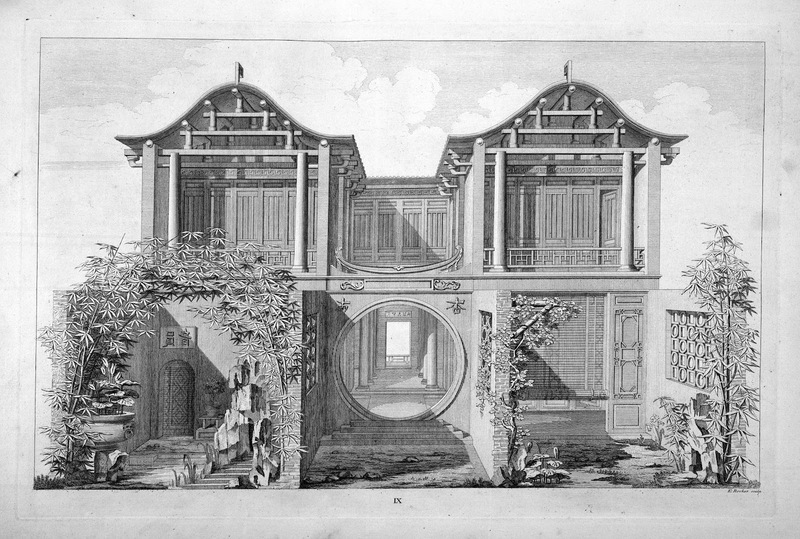 By 'heavyweights' I'm really referring to Robert Adam, who (though a rival) considered him "a Prodigy for Genius, for Sense & good taste." 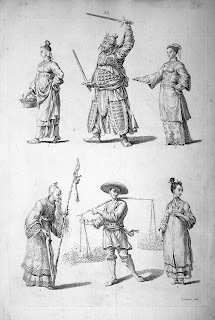 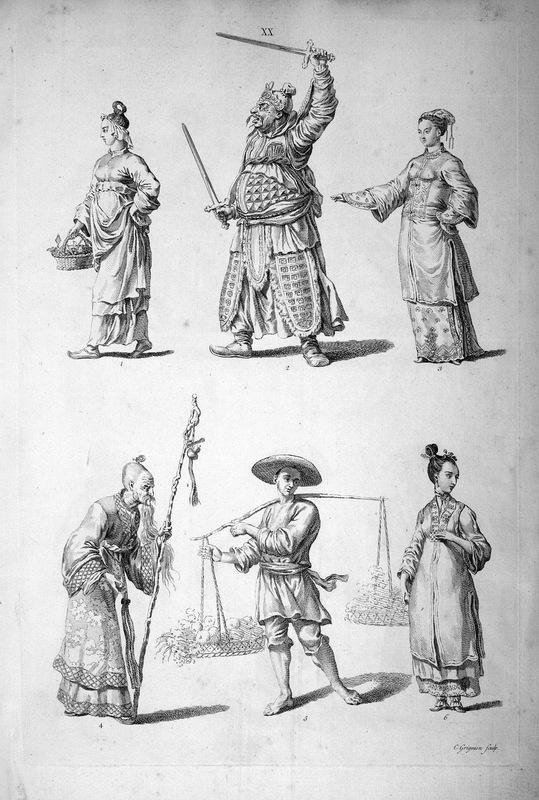 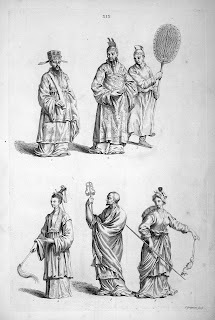 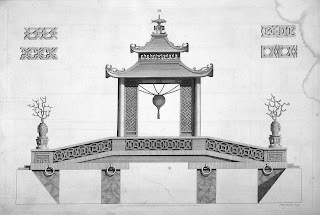 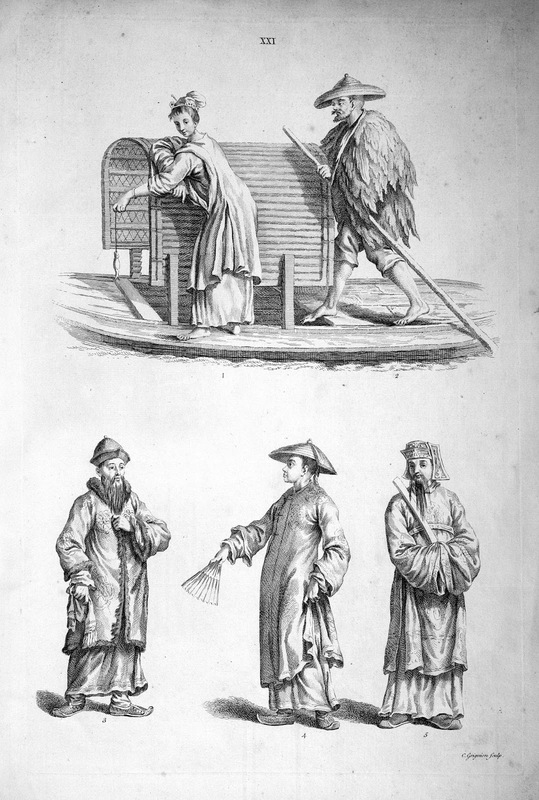 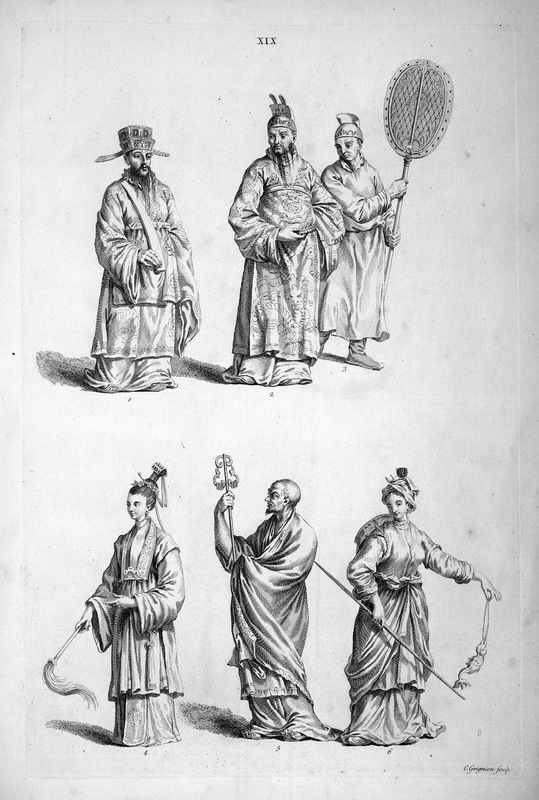 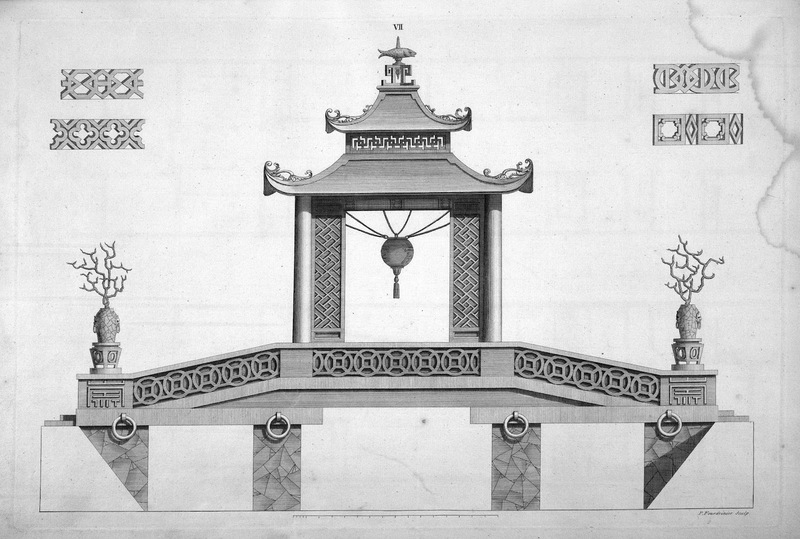 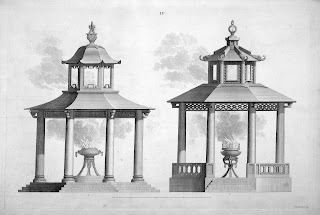 As an impressionable young teenager he travelled by sea to Canton where he made the sketches that served as the basis for his book Designs for Chinese Buildings (1757). 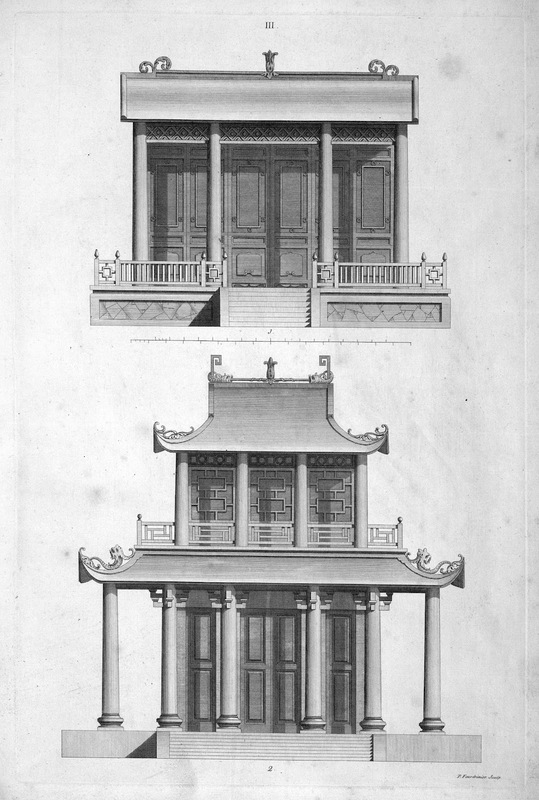 He will always be second fiddle to Robert Adam in terms of architecture, but he was almost single-handedly responsible for popularizing Chinoiserie. 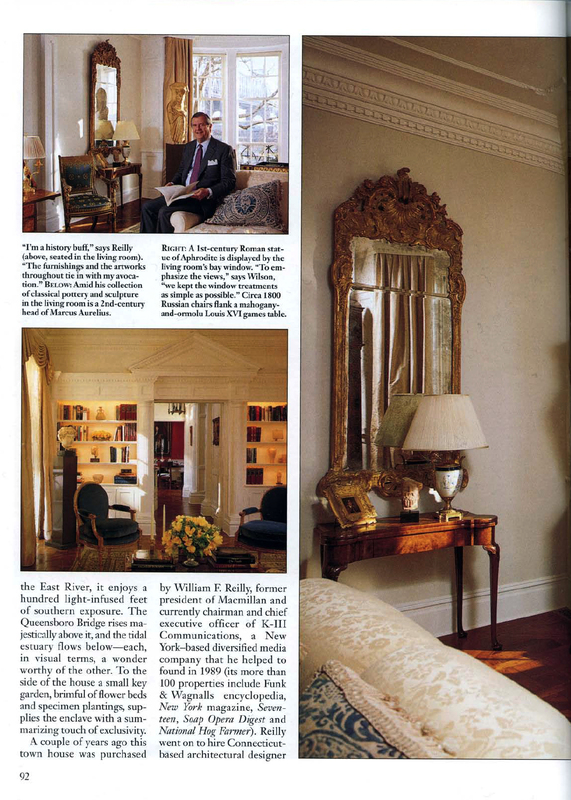 This, to my mind, is his greatest legacy. 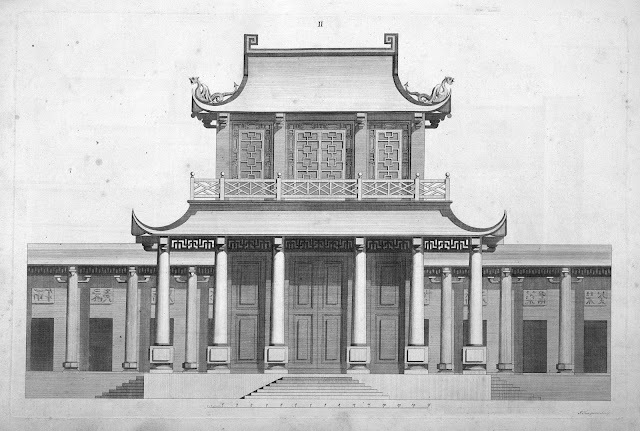 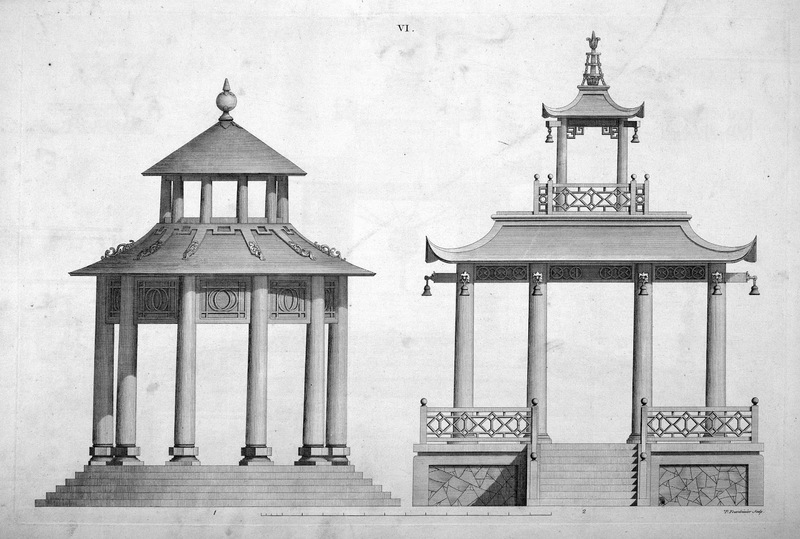 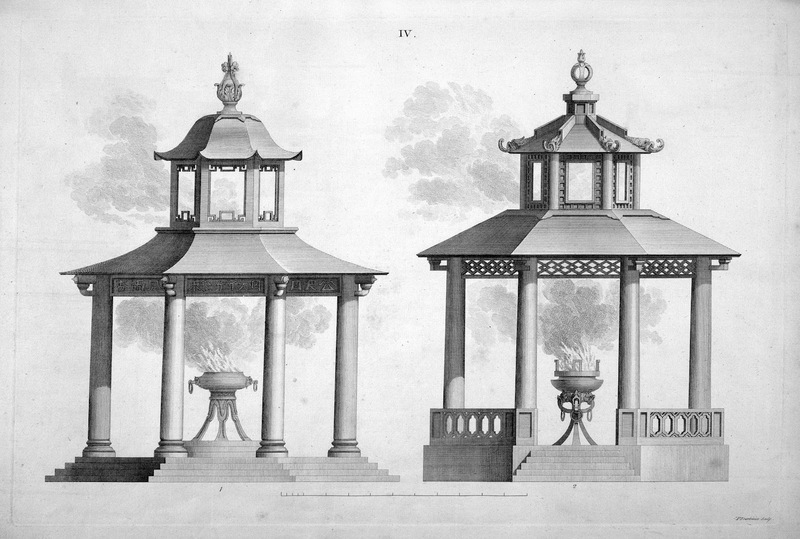 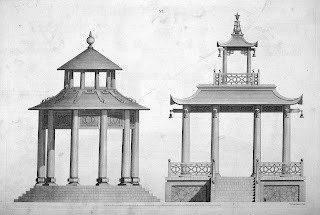 After this voyage he "quitted the sea" and took up architecture in earnest, making a considerable name for himself working for King George III who paid him the princely annual sum of $500 and for whom he designed (among other works) "twenty classical and exotic temples" at Kew Gardens including the pagoda and orangery. 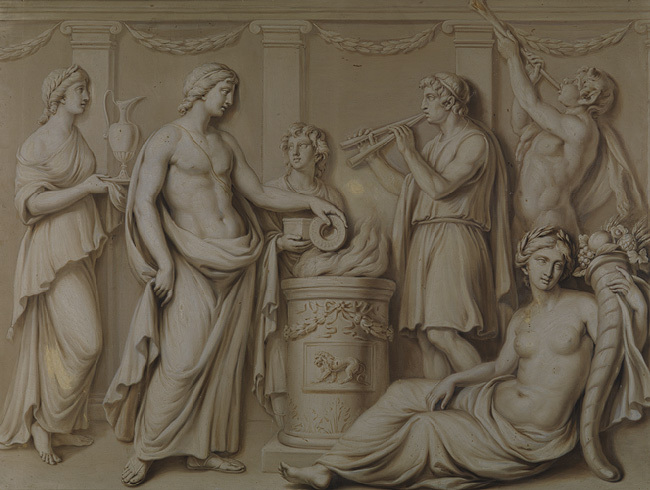 The Victoria and Albert has a great collection of his drawings online. 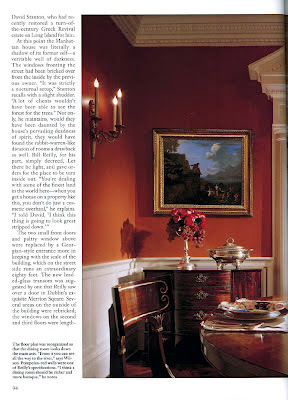 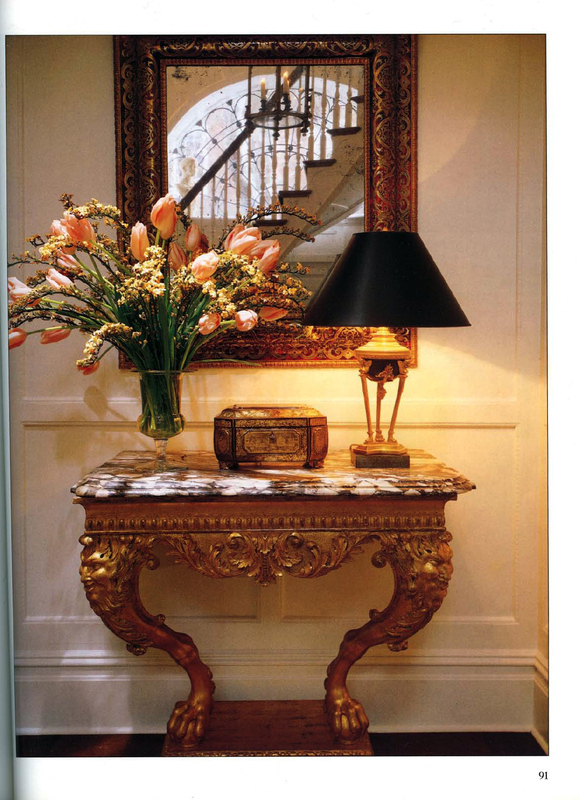 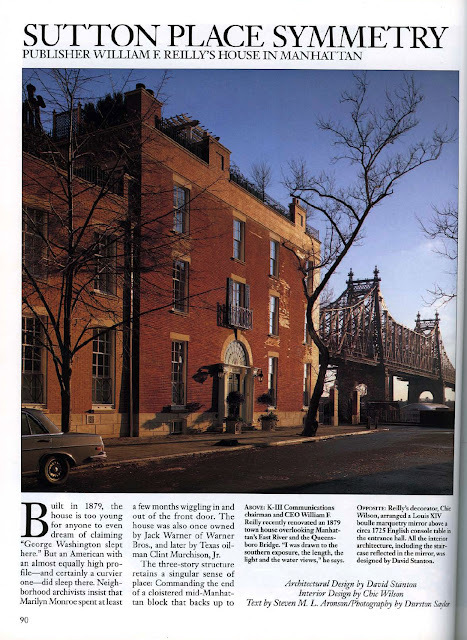 This is an old one I did that appeared in the pages of Architectural Digest (July 1997). 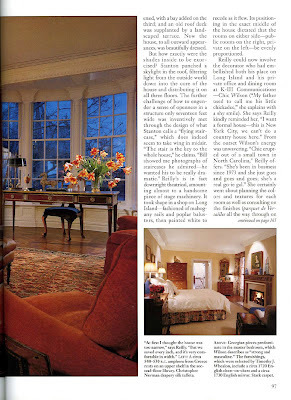 It was one of my very favorite jobs for a number of reasons. 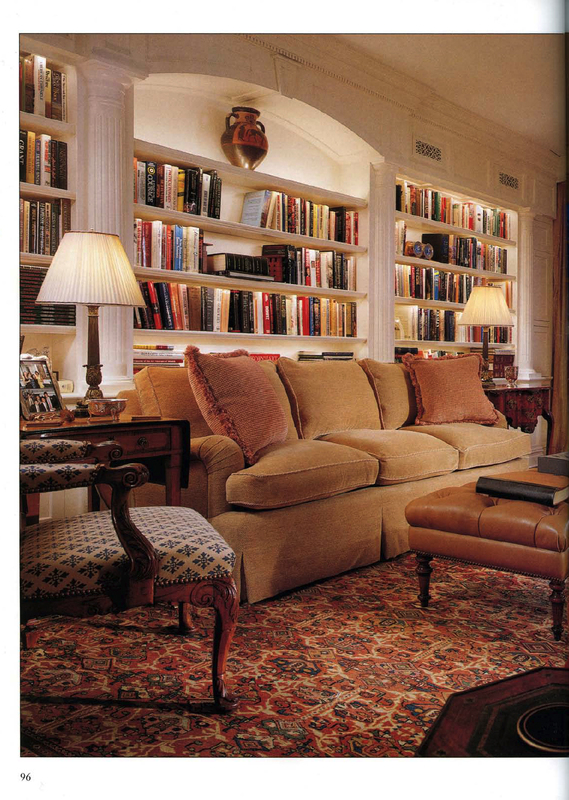 The designer I worked with, Chic Wilson, was amazing and one of the nicest people I've ever met, the client was a real gentleman, and of course the property ... well, you'll just have to take a look. 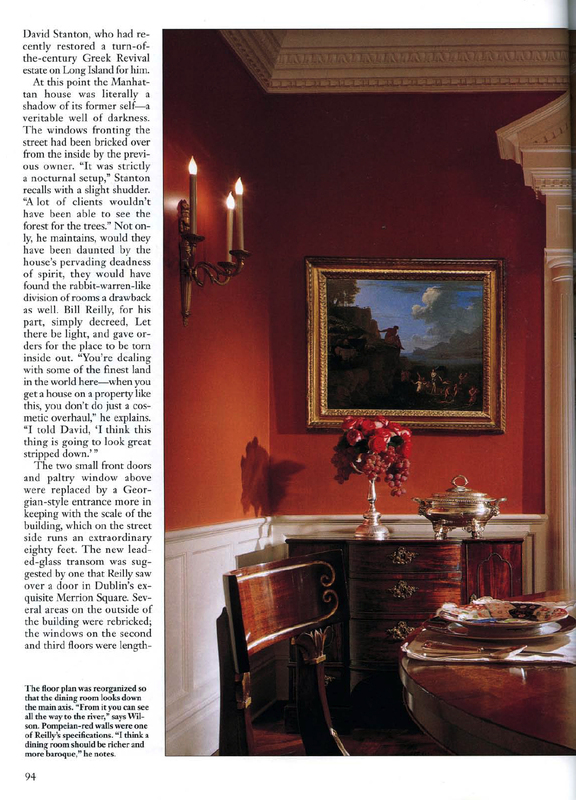 The paint finishes were all traditional oil stipples and striés to complement the classical theme of the residence. 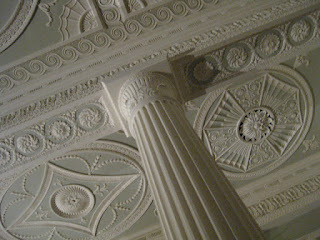 Balancing my way out on a plank perched four floors above the main spiral staircase was a toe-curler, but it was nice to be working with friends and we all had a great time. 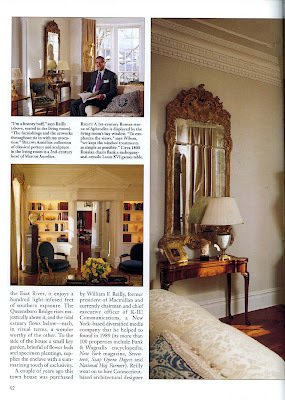 Besides glazing a bunch of rooms, I also designed and hand-painted the headboards in the bedrooms with French arabesque ornament in subtle blues and yellows. 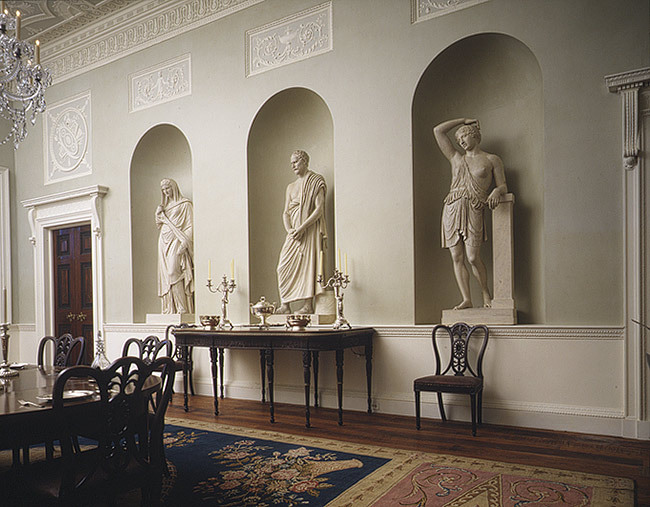 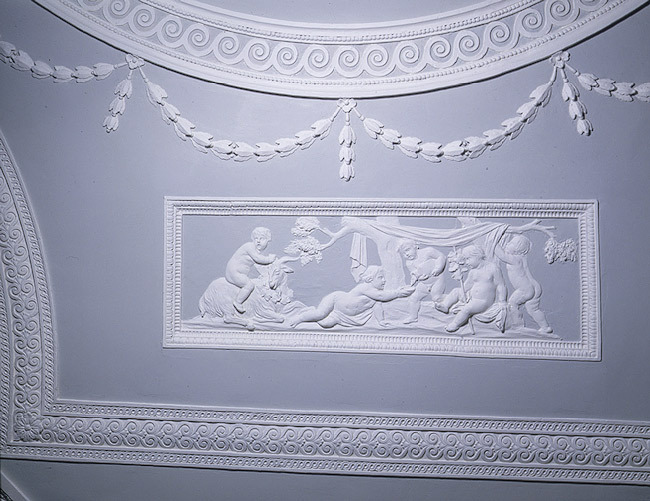 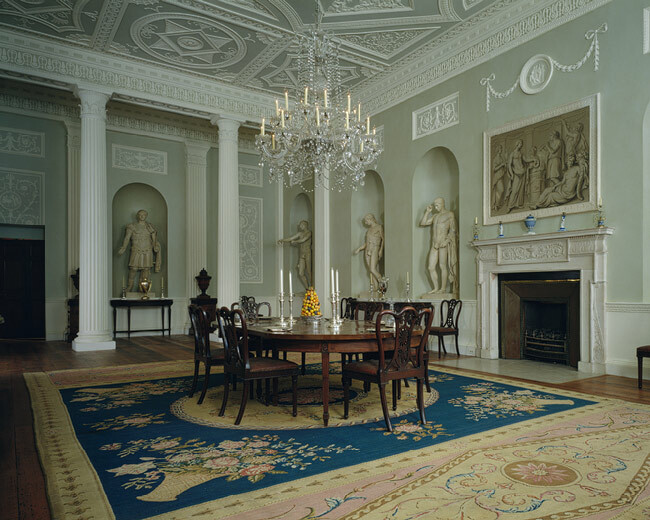 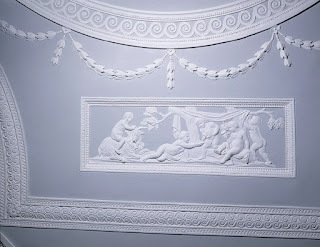 There was a very simple reason why the great British architect Robert Adam used Stucco and Paint instead of tapestries and upholstery when designing Dining Rooms such as this one in Lansdowne House: So the smell of roast suckling pig wouldn't hang in the room. "The eating rooms are considered as the apartments of conversation, in which we are to pass a great part of our time. 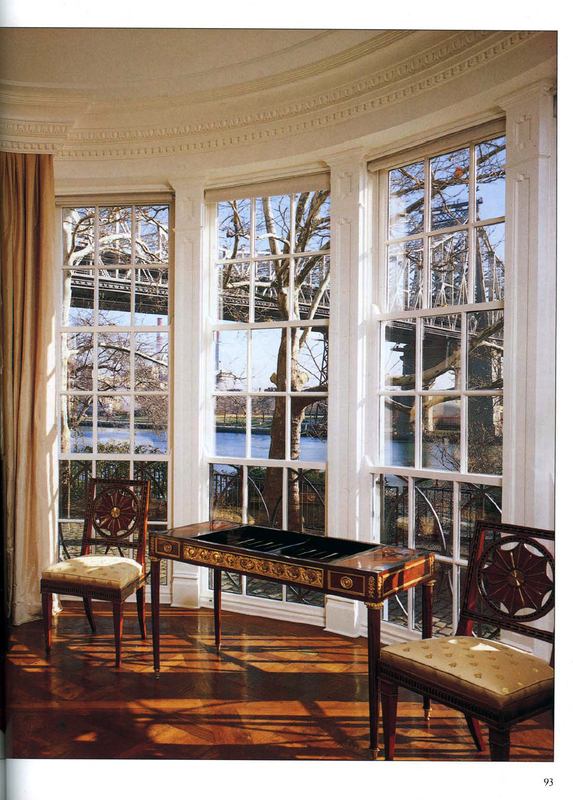 This renders it desirable to have them fitted up with elegance and splendor, but in a style different from that of other apartments. 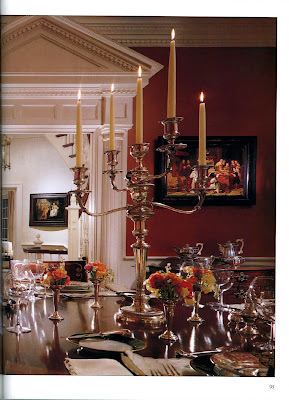 Instead of being hung with damask, tapestry & c. they are always finished with stucco, and adorned with statues and paintings, that they may not retain the smell of the victuals."